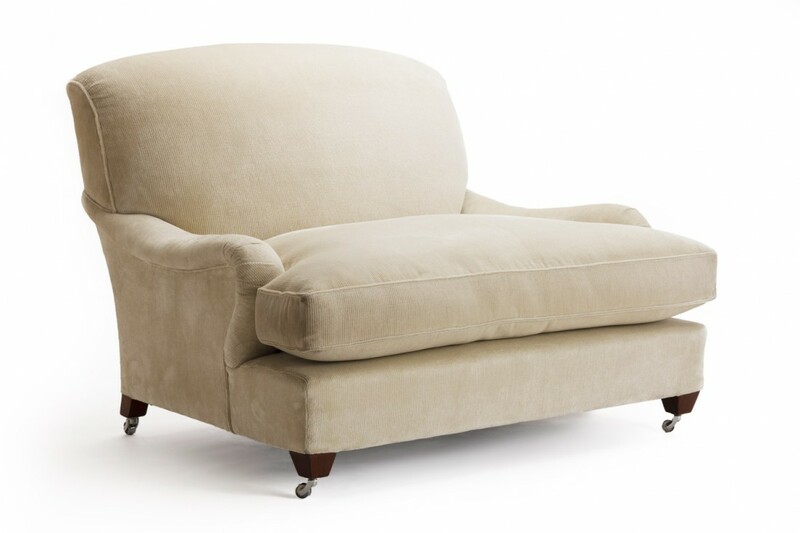 A sumptuously comfy armchair which we have been making for 20 years. 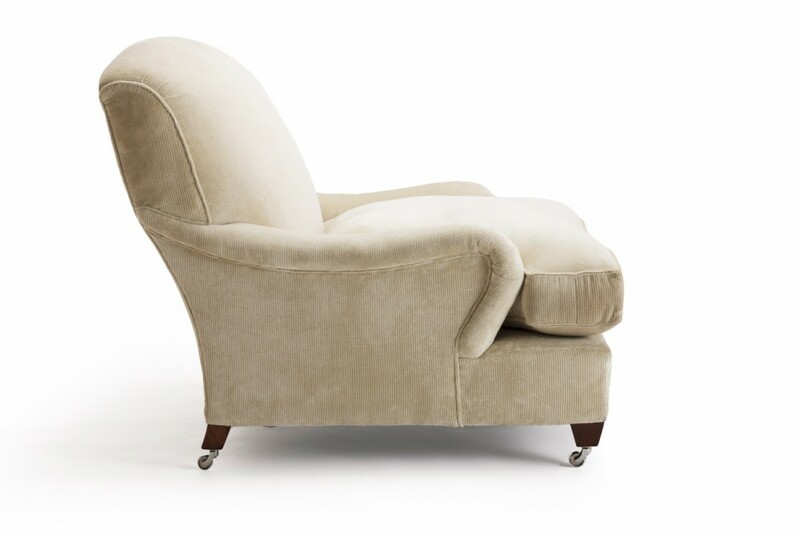 A softly upholstered back incorporating our unique feather pad which provides unrivalled comfort. A fully sprung seat with a feather and down seat cushion. Ideal for sharing, this chair is great for reading to the children, or curl up and keep it to yourself! Available as a standard armchair, sofa and cushioned footstool. 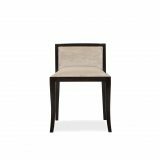 The Rosetti is available to custom size to suit your space. You also have a choice of over 30 wood finishes to choose from or we can match to your colour or finish sample. 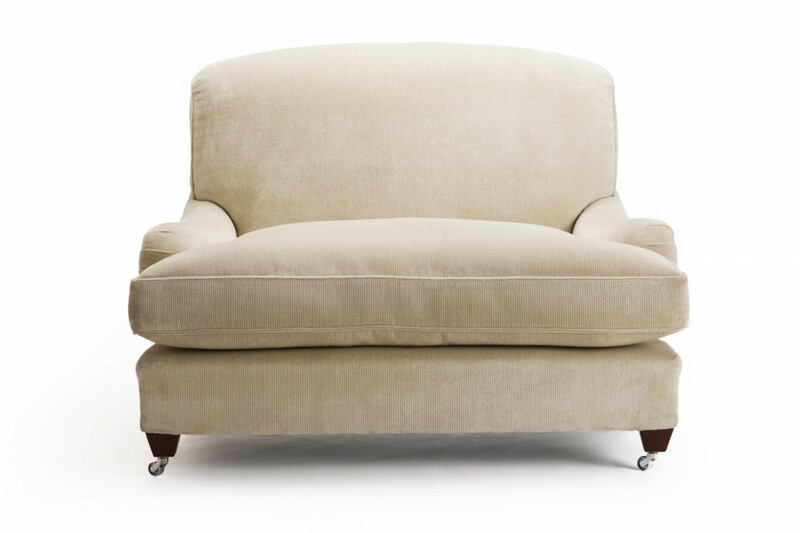 One of our best designs, an imposing chair with classic lines, will never date and looks great in any fabric. Perfect to share as a 1 ½ seater! To ask a question about the Rosetti Armchair click here. We'll email you the answer as soon as possible. If you have a question about the Rosetti Armchair, fill in the form below and we'll email you the answer as soon as possible.